Exodus 11:5-And all the firstborn in the land of Egypt shall die, from the firstborn of Pharaoh that sitteth upon his throne, even unto the firstborn of the maidservant that is behind the mill; and all the firstborn of beasts. Bake your cupcake. When finished baking them let them cool off. Drizzle honey on top of cupcake and add your chocolate rocks on top. 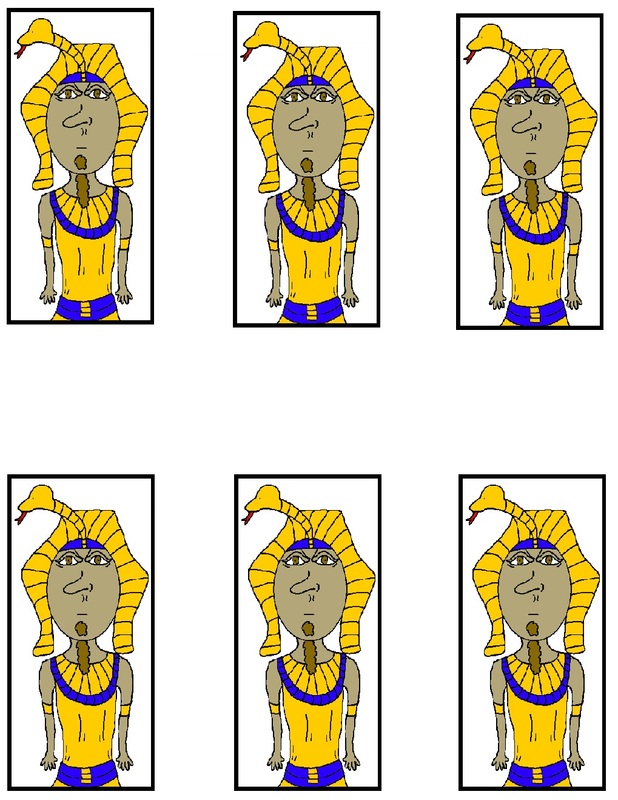 Print Pharaoh template off and cut him out. Tape it to a toothpick. Stick it down in cupcake. Use this Pharaoh cupcake to go along with the The 10th Plague of Egypt Death of Firstborn Sunday school lesson. You can always skip the honey and rocks and just add regular frosting to the cupcake instead. I just thought I would use the rocks cause I had them on hand. I really like baking cupcakes for the kids because they are so easy to make, and don't cost very much.